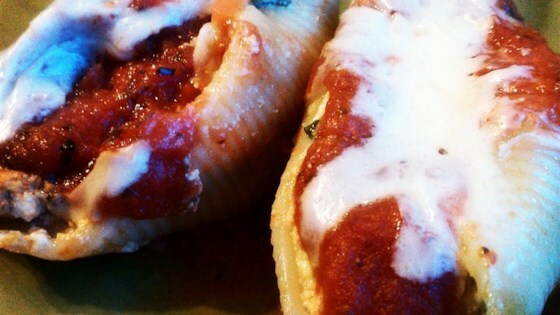 "Magnificent jumbo pasta shells stuffed to bursting with cheesy spinach filling." Watch Chef John refashion leftover party dip into an easy stuffed-pasta dish. I used one pkg of spinach, and left out the fennel. Yummy! My vegetarian daughter loved them!